The Center for Nursing Excellence (CNE) recognizes that working in a fast-paced, challenging environment requires constant education to ensure that nurses can keep pace. Here, you will find a vast body of knowledge and opportunity to fulfill your needs for ongoing and advanced learning. 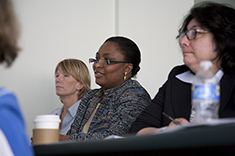 Through structured classes, seminars, review courses, on-line education, and conferences, you will learn from some of the most world-renowned nursing leaders and educators in the country. We support your educational growth. Use your paid education time and speak to your unit leaders to ensure you are scheduled to be off work for these important learning opportunities. *All UCLA RNs MUST have pre-approval to attend. A MANDATORY Workshop for all Clinical Nurses and Frontline Leaders. Master the Concepts of Sepsis including: Prevention, Pathophysiology, Recognition, Treatment & Empowerment. This one day course is designed to support the role of the charge nurse by addressing skills such as the chain of command, charge role expectations, communication, fiscal management, leadership, and the patient experience. Inter-professional Simulation Workshop "Simulation Code Blue!" This workshop is designed especially for Critical Care RNs and the Medical Surgical RNs to experience collaboration with Physicians, Pharmacists and Respiratory Therapists during Patient Emergencies. Enrollment is through your UD/Manager. 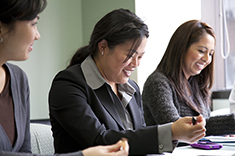 Sign your staff up today for our quarterly preceptor training program offering for nurses. 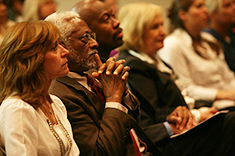 Core areas of the program will include: bridging cultural and generational differences, defining role(s) and expectations (building the foundation), incorporating learning styles and teaching techniques, developing critical thinking, and utilizing our challenges tool kit (UHC/AACN best practice). Enrollment is through your UD/Manger. In accomplishing our mission to "deliver leading-edge patient care, research and education," we invite health care professionals outside of the UCLA community to participate in many of the educational offerings.